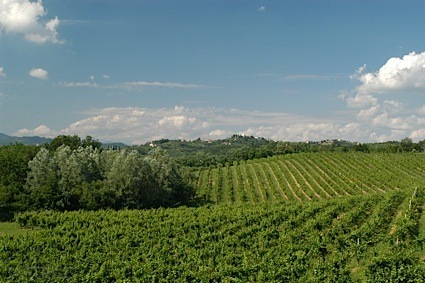 Bottom Line: An inky, concentrated zin that will be a dream with funky cheeses. 86 • Anthony/Koster 2016 Barrel Select, Chardonnay, California 13.9% (USA) $9.99. 88 • Anthony/Koster 2014 Barrel Select, Cabernet Sauvignon, California 13.9% (USA) $9.99. 89 • Carneros Highway 2014 Pinot Noir, Carneros 13.2% (USA) $22.00. 85 • Carneros Highway 2014 Chardonnay, Carneros 13.2% (USA) $19.50. 88 • Carneros Highway 2015 "Nueva", Chardonnay, Carneros 13.5% (USA) $19.50. 89 • Carneros Highway 2015 "Nueva", Chardonnay, Carneros 13.5% (USA) $19.50. 86 • Carneros Highway 2016 Nueva, Chardonnay, Los Carneros 13.5% (USA) $19.50. 86 • Highway 12 2015 Sauvignon Blanc, Sonoma County 13.5% (USA) $15.50. 91 • Highway 12 2014 Sonoma Red Blend, Sonoma County 13.9% (USA) $24.00. 85 • Highway 12 2014 Cabernet Sauvignon, Sonoma County 13.9% (USA) $24.00. 92 • Highway 12 2014 Serres Ranch Single Vineyard, Sonoma Valley 13.9% (USA) $28.00. 87 • Highway 12 2015 Chardonnay, California 13.5% (USA) $19.50. 89 • Highway 12 2016 Sauvignon Blanc, Sonoma County 13.9% (USA) $14.99. 93 • Highway 12 2015 Sonoma Red Blend, Sonoma County 13.9% (USA) $18.99. 90 • Highway 12 2015 Cabernet Sauvignon, California 13.9% (USA) $18.99. 88 • Highway 12 2015 Merlot, Sonoma County 13.9% (USA) $24.00. 84 • Highway 12 2017 Sauvignon Blanc, Sonoma County 13.9% (USA) $15.50. 83 • Highway 12 2017 Rosé, Pinot Noir, North Coast 13.5% (USA) $19.50. 88 • Highway 12 2018 Sauvignon Blanc, Sonoma County 13.9% (USA) $14.99. 87 • Highway 12 2017 Chardonnay, California 13.5% (USA) $14.99. 93 • Highwayman 2012 Reserve Trailblazer, Sonoma County 15.3% (USA) $42.00. 92 • Highwayman 2013 Proprietary Reserve Red Blend, Sonoma County 14.8% (USA) $48.00. 90 • Highwayman 2013 Chardonnay, Sonoma County 14.8% (USA) $38.00. 93 • Highwayman 2014 Chardonnay, Sonoma County 14.8% (USA) $38.00. 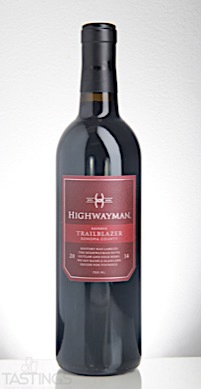 90 • Highwayman 2013 "Trailblazer" Red Wine, Sonoma County 15.3% (USA) $42.00. 91 • Highwayman 2013 Reserve, Pinot Noir, Sonoma County 14.8% (USA) $42.00. 89 • Highwayman 2013 Proprietary Red Reserve, Sonoma County 14.8% (USA) $48.00. 90 • Highwayman 2014 Proprietary Red Reserve, Sonoma County 14.8% (USA) $48.00. 92 • Highwayman 2014 Trailblazer Reserve, Zinfandel, Sonoma County 15.3% (USA) $42.00. 91 • Highwayman 2014 Proprietary Red Blend Reserve, Sonoma County 14.8% (USA) $48.00. 84 • Highwayman 2015 Reserve, Cabernet Sauvignon, Sonoma County 14.8% (USA) $55.00. 90 • Highwayman 2016 Trailblazer Red Blend, Sonoma County 14.8% (USA) $42.00. 89 • Wine Roads 2014 Chardonnay, California 13.5% (USA) $9.99. 90 • Wine Roads 2014 Proprietary Red Blend, California 13.5% (USA) $9.99. Highwayman 2014 Trailblazer Reserve, Zinfandel, Sonoma County rating was calculated by tastings.com to be 92 points out of 100 on 10/13/2017. Please note that MSRP may have changed since the date of our review.